Rosie, christened ‘Rosanna’, was born in Dublin in 1892. Her father died when she was young, so in 1901 Rosie was living with her mother and sister in a tenement building on Bolton Street. Rosie’s mother then remarried and in 1911 they had moved to a small cottage on Abbey Street. As a teenager, Rosie worked as a packer in a paper store and then got a job as a messenger for Jacob’s Biscuits. The working conditions in Jacobs Factory at the time were terrible. Jim Larkin himself described the conditions for the biscuit makers as ‘sending them from this earth 20 years before their time’. On the 22nd of August 1911, Rosie helped to galvanise and organise more than 3,000 women working in the factory. They withdrew their labour and the women were successful. They received better working conditions and an increase in pay. Rosie was just 18 years old at the time. When the Irish Transport and General Workers Union was founded in 1909, Rosie joined. 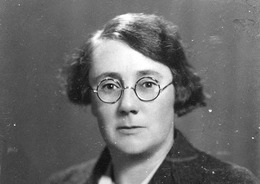 Two weeks after the famous Jacobs strike, Rosie cofounded the Irish Women Workers Union (IWWU), along with Delia Larkin. It was set up to protect women from the horrendous conditions which they were expected to work in. 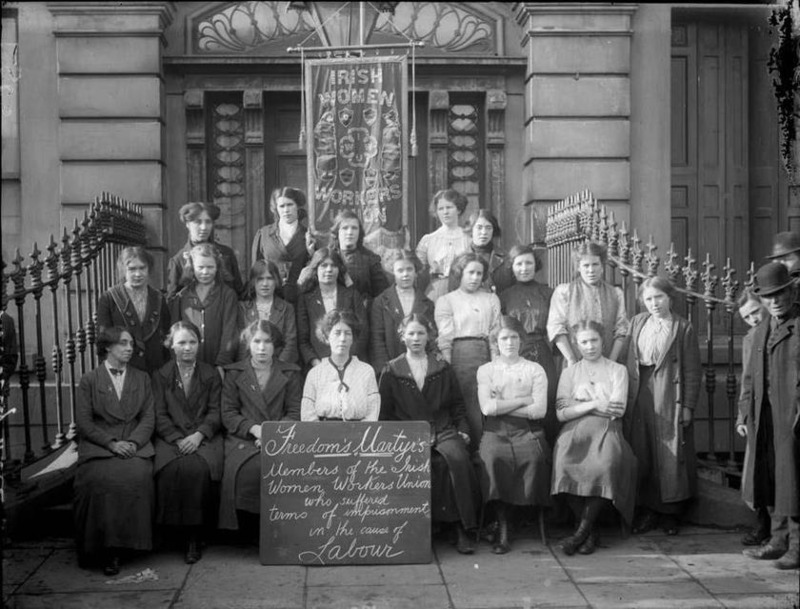 In 1913, being actively involved in the trade union movement, she once again helped to organise the women in Jacobs to strike and protest against poor working conditions. When the tram workers went on strike against their employers, the Jacobs Factory workers came out on strike in support. The 1913 Dublin Lockout lasted from August to January 1914. There was widespread hunger and poverty in Dublin at the time. Rosie, along with other members of the IWWU, worked tirelessly during the Lockout providing the strikers with basic food and moral sup sort. The women set up a soup kitchen in Liberty Hall. In 1914, Rosie lost her job in Jacobs for the part she played in the Lockout. She took up a post working as a clerk in the IWWU in Liberty Hall and worked alongside activists Delia Larkin and Helena Maloney. It was here that she became connected with the Irish Citizen Army. She also trained as a printer. Rosie was among the small group, along with Constance Markievicz and Michael Mallon, who occupied Stephen’s Green during the Easter Rising and the Royal College of Surgeons. Rosie was also involved with the group that printed the first 1916 Proclamation and gave it to James Connolly. They were able to print it off on a faulty printing press and they handed it to him, still dripping wet. She later recounted how the men with Connolly complained that a woman had been let into the room. Following the surrender of the rebels at the Royal College of Surgeons, the group, along with Rosie, were brought to Kilmainham Jail. They were in prison for ten days and then freed on general release. In 1917, on the anniversary of Connolly’s death, the ITGWU decided that to commemorate it. They hung a sign from Liberty Hall that said ‘James Connolly, Murdered May 12th, 1916’. According to Rosie’s own account, it was up no time at all, when the police took it down. Rosie, along with Helena Maloney, Jinny Shanahan and Brigid Davis, decided it was important that everyone knew it was the anniversary. They printed out another poster, climbed to the roof of Liberty Hall and barricaded themselves in. They nailed the doors shut and put coal up against the windows. Rosie said the police mobilised from everywhere, but it took them hours to get in. The poster remained in position until six in the evening. Rosie later bragged that it took four hundred policemen to take down four women. ‘We enjoyed it at the time- all the trouble they were put to’. After the Rising, Rosie re-founded the IWWU with Louie Bennett and Helen Chenevix. At its strongest, the union organised over 70,000 women and was successful in gaining one extra paid week of holiday leave per year. Rosie went on to continue her work in Liberty Hall for over 40 years. In 1970, she was awarded a gold medal for giving 60 years of her life to the trade union movement. She passed away in 1976, aged 82. Find out more about the Rosie Hackett Bridge Campaign here. © 2013 Women's Museum of Ireland.